September 14, 2012. 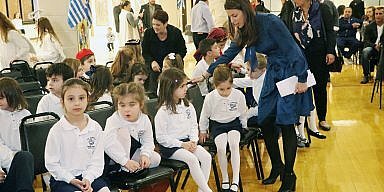 St. Anthony’s Greek school in Vineland New Jersey opened its doors last week. Nearly doubling in size from 11 to 20, this rural school in South East New Jersey (about 1 hour southeast of Philadelphia) continues to sustain it’s language studies program for it’s youth. In addition, an adult Greek classes program with attendees from ages 40 to 80 is also held once a week. Big dreams at St. Anthony’s Greek orthodox church are in the future as well. Just a few years ago,new priest Rev. Dr. Fr. 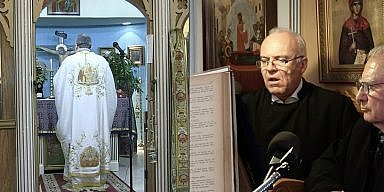 Sokratis Dimitriadis came to this parish from Greece and new plans have been drawn up for extending the church and building a new community center in the next few years. For more information about St. Anthony’s visit them online or call them at their church offices: 856-696-0917.